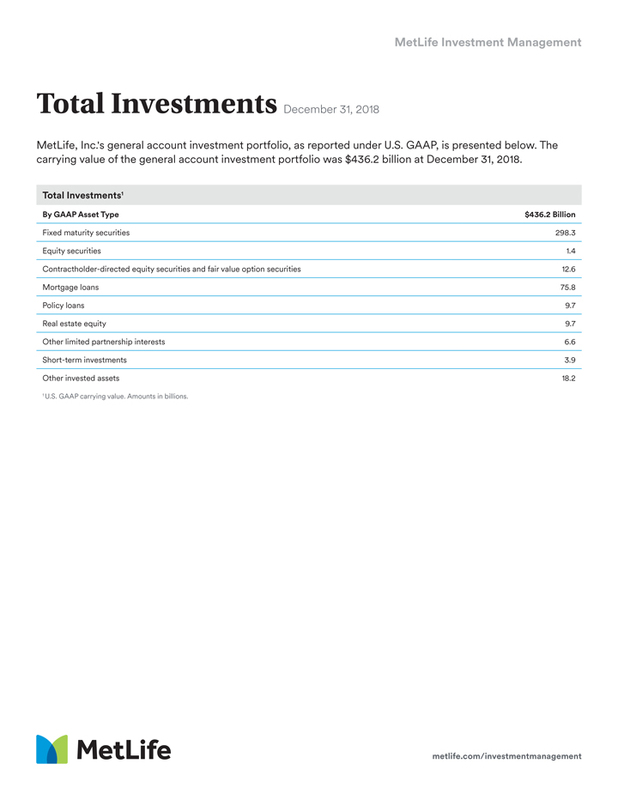 On February 19, 2019, MetLife, Inc. issued a fact sheet setting forth its total assets under management at December 31, 2018 (the Total AUM Fact Sheet), a copy of which is attached hereto as Exhibit 99.1 and is incorporated herein by reference. 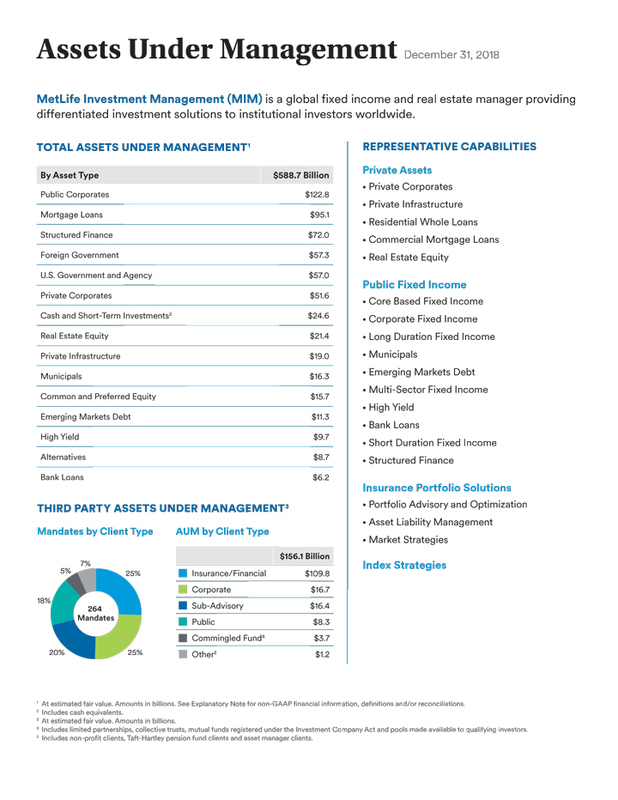 The foregoing description of the Total AUM Fact Sheet is not complete and is qualified in its entirety by reference to the Total AUM Fact Sheet, which is filed as Exhibit 99.1, and is incorporated herein by reference. 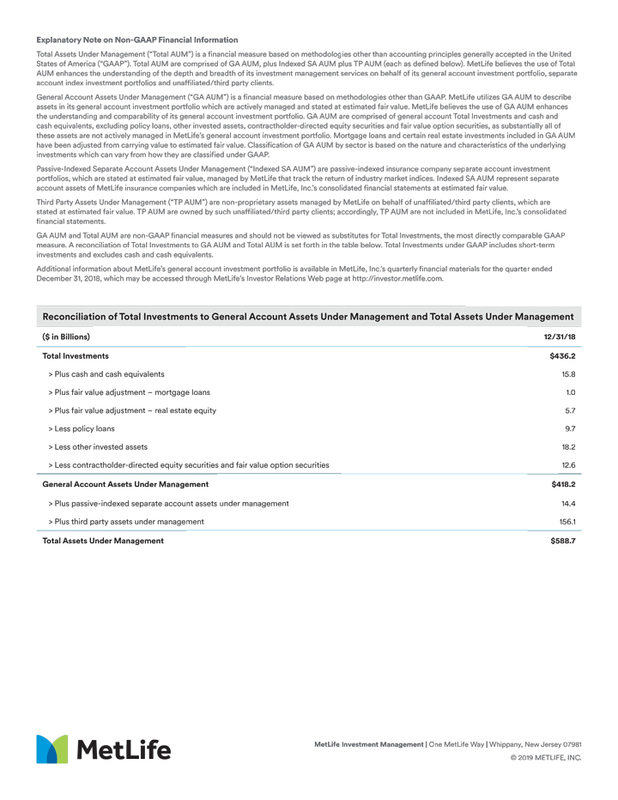 The text under Item 2.02 above is incorporated herein by reference.